A woman’s doctor writes her a prescription for three or 12 months worth of birth control. When she visits the pharmacy to pick it up, she finds out that her insurance company will pay for only one month at a time. So she leaves with a month’s supply, and must return 30 days later to pick up the next one, and again 30 days later, and so on, potentially for years. While that might seem like a minor inconvenience, the consequence of missing even a single dose can be an unintended pregnancy. And for some women, including those living in rural areas and victims of domestic violence, it’s a significant hurdle. But this scenario will no longer play out in Maine under a bill that became law today without the governor’s signature. Insurers in Maine now must cover up to 12 months of birth control. The law also adopts an Obamacare requirement that prohibits insurers from charging co-pays for birth control, which would protect Maine women from those fees regardless of the fate of Obamacare at the federal level. Maine employers also can’t decline to provide birth control coverage under the law, even if the Trump administration moves forward with its apparent plan to allow businesses to opt out of that coverage on religious or moral grounds, according to Planned Parenthood of Northern New England. The U.S. Centers for Disease Control and Prevention, along with the U.S. Office of Population Affairs, recommends that women be provided multiple months’ worth of birth control, ideally a full year’s supply, to encourage consistent use. 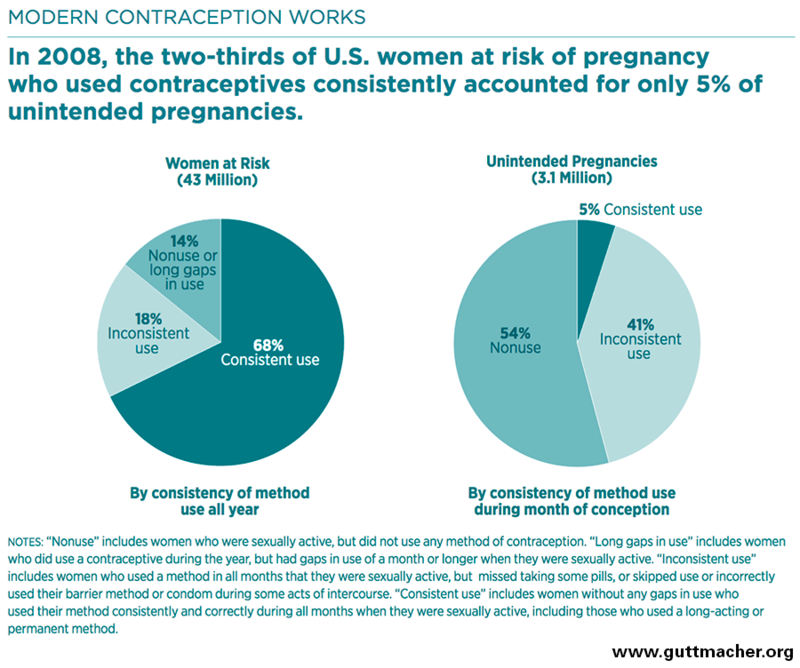 Inconsistent use of birth control (also including condoms and other forms) accounts for 41 percent of unintended pregnancies, according to 2008 data published by the Guttmacher Institute, a research nonprofit that supports reproductive rights. When women in California received a one-year supply of the pill, rates of unintended pregnancies dropped 30 percent, according to one study. The odds of abortion fell by 46 percent, the 2011 study by University of California San Francisco researchers found. If the women in the study who received pills for shorter durations had experienced the same rates, California’s Medicaid program would have avoided 1,300 taxpayer-funded pregnancies and 300 abortions, the researchers reported. In Maine, Medicaid already covers a year’s supply of contraception for women beneficiaries. The new law, sponsored by Rep. Jay McCreight, D-Harpswell, extends that benefit to women with private health insurance plans, such as through Obamacare or their employers. It applies to FDA-approved forms of birth control, including the pill, patch and vaginal ring. Insurers can still substitute generic versions. It takes effect this fall, 90 days after the Legislature adjourns in June. But practically speaking women will benefit when their health insurance plans are issued or renewed on Jan. 1, 2018. Women can get a three-month supply for the first dispensing of their birth control, followed by a full 12-month supply thereafter. A doctor must specify that the prescription is for a year’s supply. California, Hawaii, Oregon, Colorado, and the District of Columbia already allow up to 12 months of birth control at a time. Virginia and South Carolina passed similar laws earlier this year.